Oh, if you are into Vampires and gore, this book is for YOU. Ken Preston knows how to write a bloody great book. Joe Coffin is the “hero” in these pages. He is fresh out of prison and he’s bent on revenge on the people who killed his wife and young son. His wife, may not be as dead as he thought. This book is full of vampires, gore, blood, murder, and mayhem. Non stop action. Had my heart racing, sitting on the edge of my seat, and had me holding my breath. We follow Joe as he gets what he thinks is revenge on his family’s killer(s). Helps his ex-wife hunt for her missing young son, and what he finds instead. Vampires.. and now the city wide manhunt begins. Joe gets help from reporter Emma Wylde. The trouble they get into, the strange characters they meet. The chatter between Joe and Emma will have you smiling and giggling. It’s great watching these two interact with each other and those around them. 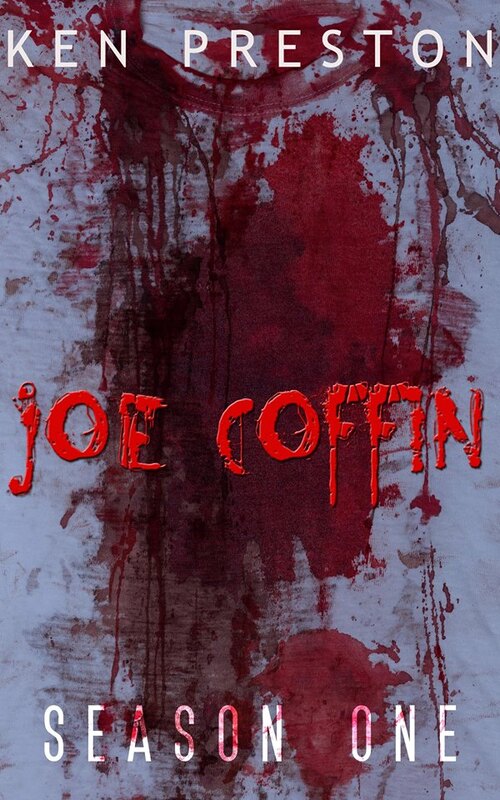 Joe Coffin Season One is divided into 4 parts (Episodes). Each episode gets better and better. Brilliantly written book! One would be silly to pass this one by. Right now … only $2.99 for Kindle. Ken Preston will be my DECEMBER AUTHOR SPOTLIGHT. Be sure to check him and his books out before then. 🙂 You won’t be sorry. I’m currently reading JOE COFFIN, Season Two, Episodes 5-8. And it’s all Season One and so much more!! Will tell you all about it and about Ken come December in his Author Spotlight. Sounds really good .I will have to get this and others.Thanks for the heads up. It was!!! I was up reading well past my bedtime. Brilliant gory book.